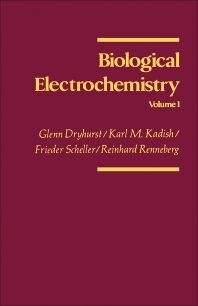 Biological Electrochemistry, Volume I is a result of a series of lectures given regarding the electrochemistry of small and large organic and inorganic molecules and how electrochemical information helps in understanding some of the biological redox reactions of these systems. This volume ultimately focuses on the electrochemistry of small and macromolecular organic compounds. This book is divided into seven chapters where each focuses on a particular organic compound. These compounds are quinones, catecholamines, phenothiazines, ascorbic acid, purines, vitamin B12 and related compounds, and proteins. Each chapter starts with a brief introduction to the compounds and then its structure and electrochemistry aspect. The last chapter gives a detailed discussion on different kinds of proteins and their electrochemistry aspects. This volume will be of help to students as well as electrochemists, biochemists, biologists, and other scientists in the field of biotechnology.